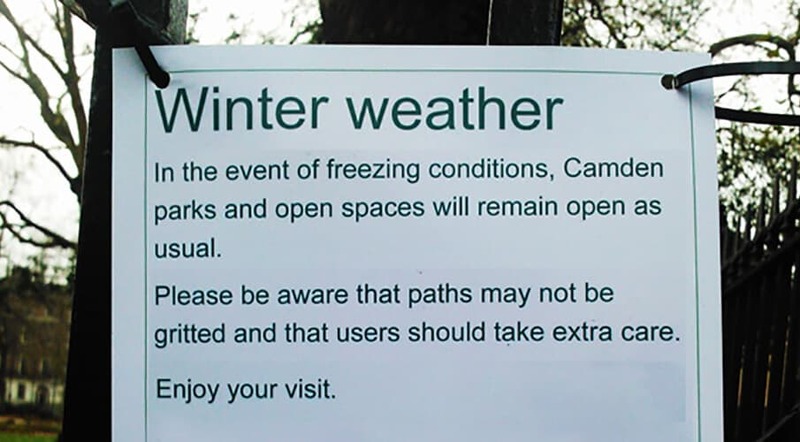 Here’s one we spotted a few days ago – not a bad notice from Camden Council. We’d take out ‘the event of’ and ‘please be aware that’. Otherwise, good job chaps.